Animal Imagination is the latest album by Espen Sommer Eide, recording as Phonophani. An extraordinary achievement on many levels, by turns shockingly beautiful, densely allusive and formidably obscure, it marks the return by Eide to his occasional alias Phonophani, whose self-titled debut was released (on the Biophon label) as long ago as 1998, followed by ‘Genetic Engineering’ for Rune Grammofon in 2001. It also represents Eide’s return (since Phonophani’s ‘Kreken’, from 2010) to the solo album format itself, after a period of working predominantly in experimental sound or audio art projects, and with Alog, his longstanding partnership with Dag-Are Haugen. In 2005, Alog received the Norwegian equivalent of a Grammy, the Spellemannprisen, and were nominated once again in 2007. Although hardly a conventional ‘comeback’ album, Animal Imagination does feel like a significant re-boot. It occupies a liminal space somewhere between the earlier ambient electronica and more recent sound installations created and exhibited in the context of the art museum or gallery, both in Bergen and internationally. This ‘liminality’ can also be viewed in its original, anthropological sense as a threshold of disorientation or ambiguity between the different stages of a ritual. Animal Imagination, in other words, is an unstable text, not quite one thing or the other. Instead, it presents us with a new, ritualistic and intensely physical approach to the creation of sound/music, in which reason and intellect have given way to intuition, magic and, perhaps, brute force. As Eide says in his brief sleeve note: I started hammering the keyboard with my paws, the sound rushing past me like wind while running. There was no composition or reasoning, just the beating of blood in my ears. I was finally making music like a dog. If you want a soundtrack for howling at the moon, this is it. Eide’s approach also suggests a kind of digital primitivism or sonic Art Brut whereby the customary loops, drones and glitches of techno are prized more for the rough patina of their surfaces, and approximate consonance and timing, than they are for any sense of neat cleanliness or ‘finish’. Just as the early modernists admired ethnographic and tribal art for its expressionistic distortions and powerful sense of “the other”, so Phonophani seems to cultivate unsettling juxtapositions and seemingly accidental effects in order to take the listener far away from a shiny technological present or sci-fi future into some deep shamanic past or dreamworld. Listen to the new album’s ’Sunrise on Bear Island’ for the full effect: an ecstatic-sounding audio environment that develops from a chill-out ambient groove into a bewildering sonic landscape where one seems to hear echoes of ancient Buddhist chanting amidst rushing wind and droplets of tropical rain. What’s really there and what’s not, is difficult to say. Similarly, another near-masterpiece, ‘Untime Me’, uses layers of electronic noise and the treated voice of Mari Kvien Brunvoll (with whom Eide worked in the duo Kvein & Sommer, whose ‘Weathering’ was released by the Russian label Full of Nothing in 2015) to evoke the trance-like, timeless flow of classical Indian music in the Carnatic tradition. By inventing his own instruments, like the hero of microtonal music, Harry Partch, and developing or tweaking his own software, Eide is able to create genuinely original-sounding effects – his own language, in fact – at a time when everyone else is using the same basic set of tools. His music also demonstrates a sophisticated regard for the pioneers of electronic music; a nostalgia for the age of musique concrete and the physical hand-craft involved in splicing magnetic tape or manipulating radio static and ‘dead air’. 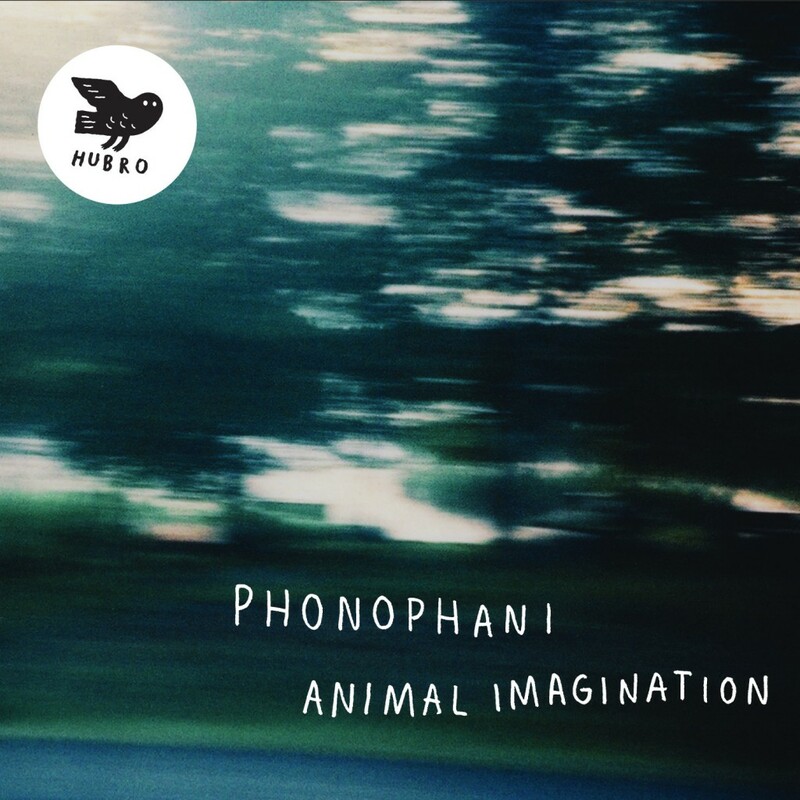 In conclusion, it is perhaps the imaginative space we can find between the notes of Phonophani’s music that allows us to be so drawn into it. Like the flicker-effect of moire patterns on our brain, or the play of light on our eyelids investigated as a portal into a new way of seeing by William Burroughs and Brion Gysin with their Dream Machine , Phonophani’s ‘Animal Imagination’ seems to work away at the edges of our consciousness until some magical transformation takes place. Half of the experience comes from him and the rest from us. The result is remarkable by any standards.